The sunshine, the heat... days at the pool or the beach... and of course light summer reads! And since June is quickly passing, it is time to announce our July challenge for Instagram. 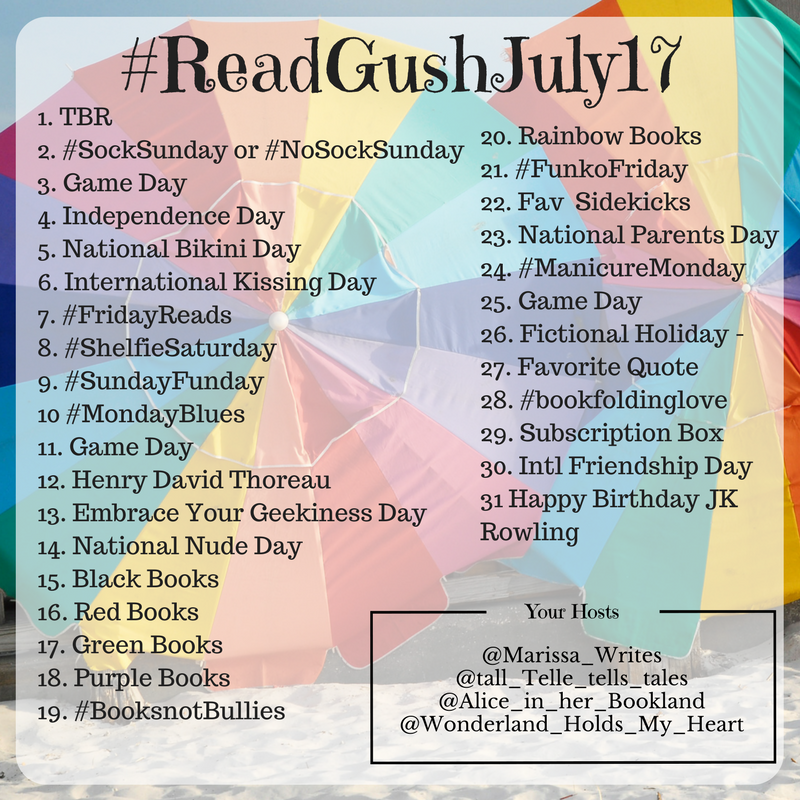 We are so excited to share another month of gushing with all of you... there have been many new bookstagrammers who have joined in this month, and I'm excited to see what July brings us. Our little gushing group has shared more than 1,500 posts on Instagram... we are gaining speed! There will be a day to show off any of your homemade props from the folding months we hosted earlier this year, but if you want to make some new paper flowers, here's the link to the pinterest board full of video instructions and such. Plus there is a book folding day, and the instructions are on the pinterest board as well. So prepare now! #SockSunday or #NoSockSunday Show of your socks, or toes! National Bikini Day - Gush over some books worthy to take to the pool or the beach! Green Books - share those green books! 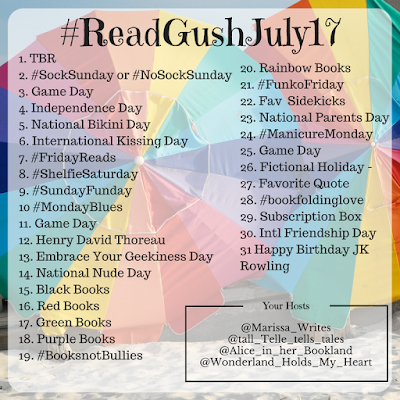 Purple Books - today's the day to show off your purple books! #FunkoFriday - show off your funkos! Favorite Fictional Sidekicks - who is your favorite sidekick? Maybe your top five? Game Day - Let's let our Sci-fi geekiness shine... in today's game, pick your favorite sci-character and share in the comments... since there are so many out there from books, tv & movies, let's try not to repeat, okay? International Friendship Day - Give a shout out to some of your book reading buddies! Or find a new buddy to read a book with! Happy Birthday JK Rowling - Show some HP pride, and give us your wrap up for the month! 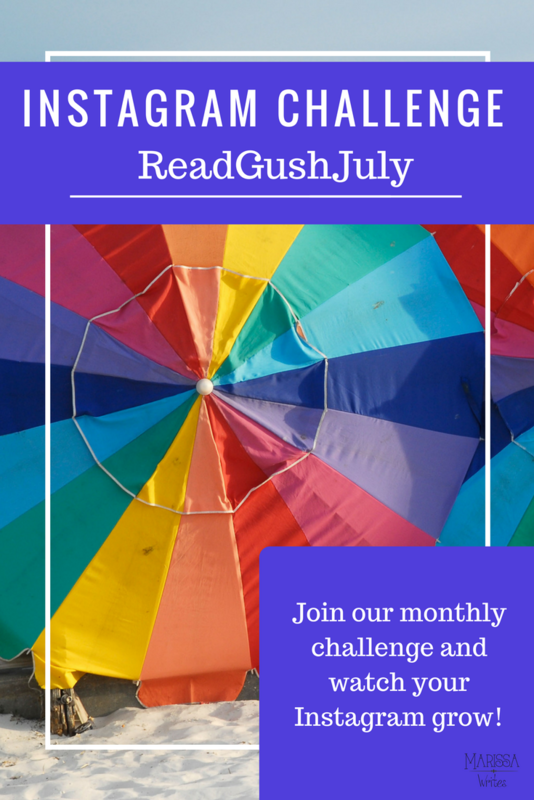 What do we need to gush over in August?? Share your ideas in the comments! I love books!! 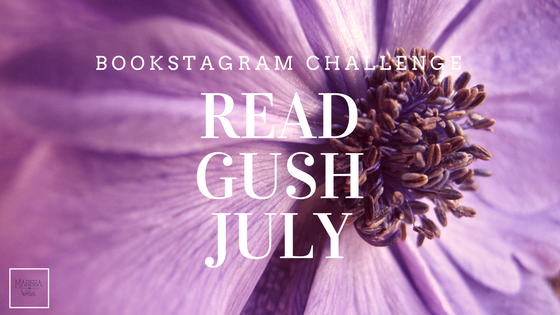 I haven't done a book instagram challenge though. Looks super cool! I'm so bad at Bookstagram Challenges. But I've been doing very good this month! I have 5 going and I've been posting all daily. I take a few days worth at a time and have them ready to post in my drafts. But I think I ran out today. Good thing I'm going out to camp tomorrow! I do a bunch of challenges at the same time too... but sometimes I don't actually picture the prompt... just comment about it... guess i'm a rule breaker - Enjoy camp! OMG! This challenge sounds so awesome! I can't believe I missed this! Hopefully it's not too late to join! that is totally fair - we are totally relaxed though, so if you want to pop in and out feel free. Oh I hope you do decide to join it - its a ton of fun!